Selected Rings, Pendants and Talismans made available to Gemstoneuniverse.com patrons in the month of January 2011. Comments A ravishing beauty this one! The facet and the table of this wonderful fully natural and untreated gemstone from the mines of Sri Lanka/Ceylon is so wide and inviting, it looks like it is lovingly and assertively inviting the pure Sattvik energies of Rahu! The single outstanding factor that weighs over all other factors is the fiery imperial orangish fire. 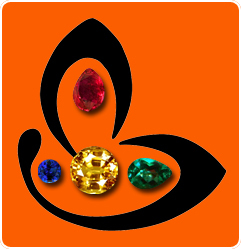 A gem fit for nobility and a gem capable of giving the best Rahu results. 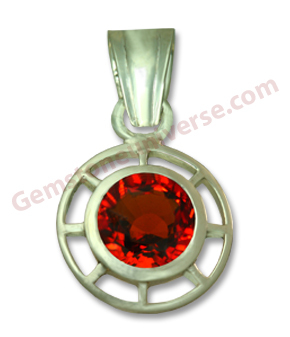 Making a impactful Rahu talisman set in this Dharma wheel sterling silver pendant!